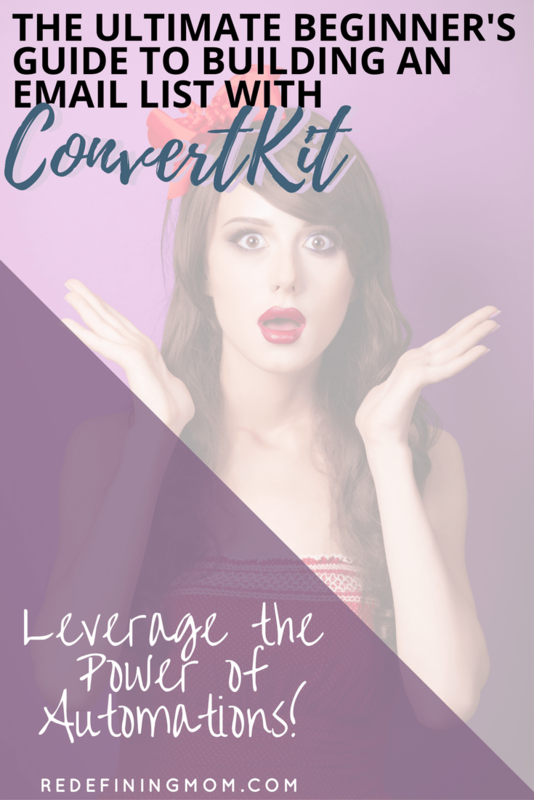 ConvertKit is an email service provider for bloggers and online business owners. It packs a powerful punch with automations and triggers in an easy-to-understand interface. Unlike many of the other email service provider options out there, ConvertKit uses a simplistic interface making it easy to use even for those of us who aren’t very technical. 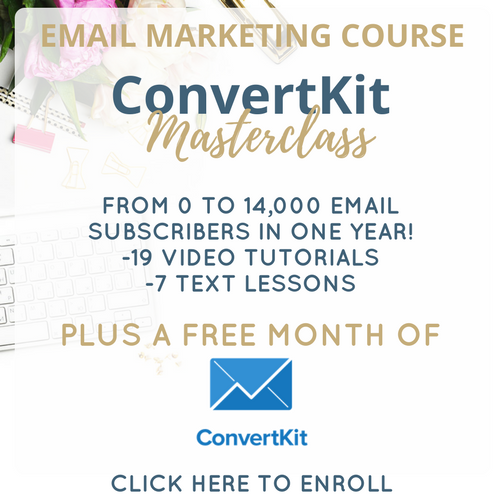 I’m going to teach you everything you need to know in my free series: Ultimate Beginner’s Guide to Building an Email List with ConvertKit. Below you will find affiliate links. 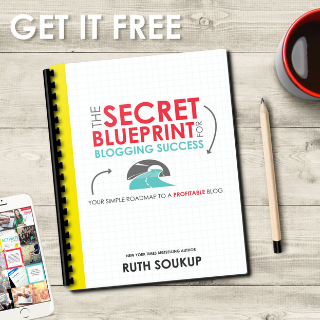 I am sharing these resources with you because they have helped me tremendously through my blogging journey. I do not recommend any products in this review that I do not use myself. Ready? Okay, let’s dive in! What is an Automation in ConvertKit? Once an email subscriber takes a specific action on your email list, an event will trigger an automated action. It might sound a little confusing at first, but let’s take a look at the different automation options offered. Once we break down the types of automations, I’ll show you an example of an automation I frequently use to tag people correctly on my list. The “trigger” is the action your email subscriber will take and the “action” is the automated action that will occur afterward. 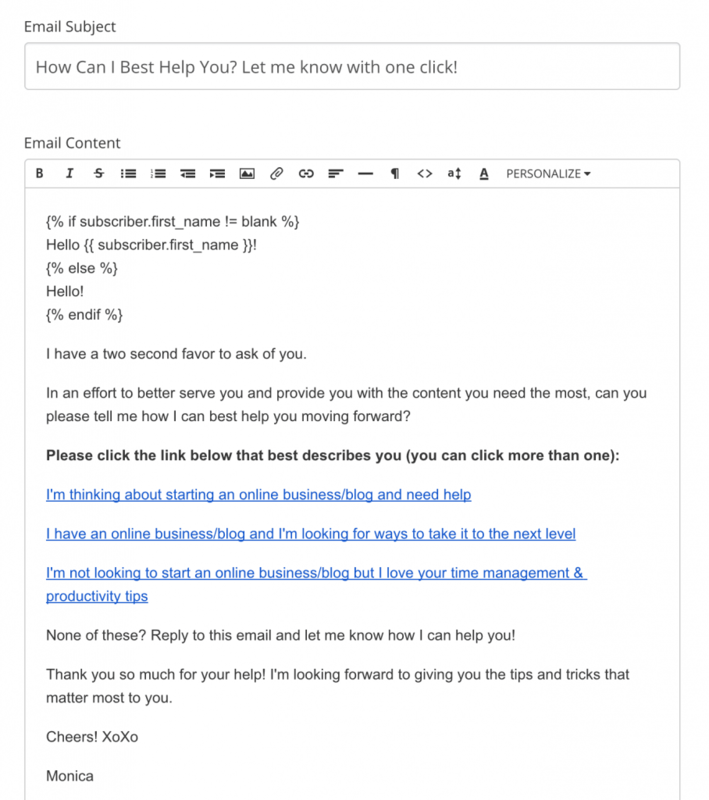 One of the best ways to nurture a potential customer is through a series of emails. In ConvertKit, these are known as sequences. Sequences usually include multiple emails that trigger once a subscriber takes a certain action on your list. For example, let’s say you offer a free webinar. Upon signing up for your webinar, your subscriber gets added to a form which links to a sequence and the first automated email sends. The first email might be reiterating the webinar details, the second might be a reminder email, and the third could be a follow-up after the webinar takes place. Now what? 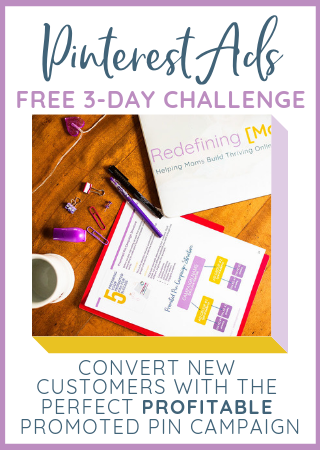 How do you continue to nurture your new email subscriber once the webinar is over? 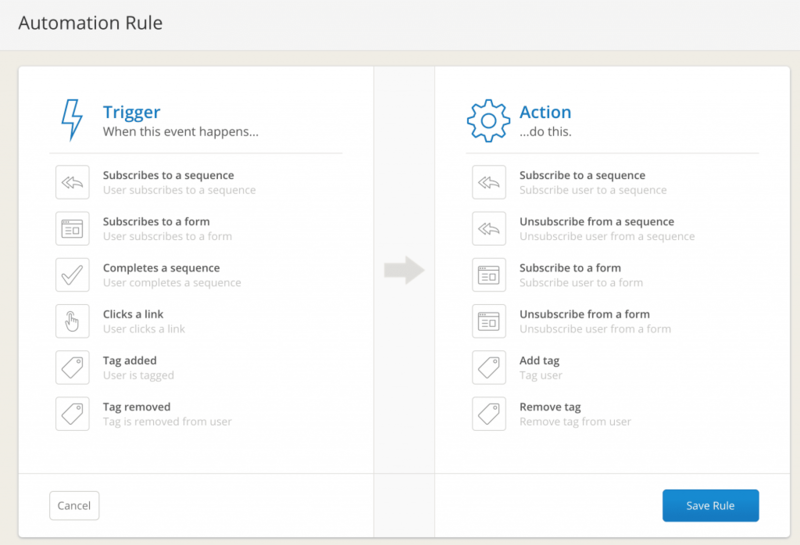 Even better, allow your email subscribers to choose their own path through your nurture sequences! 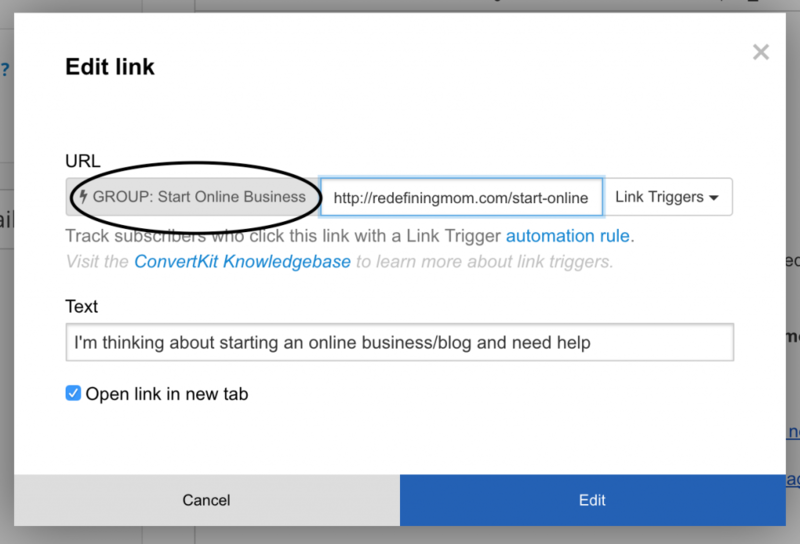 Under trigger, select “clicks a link” and enter the URL you just created. 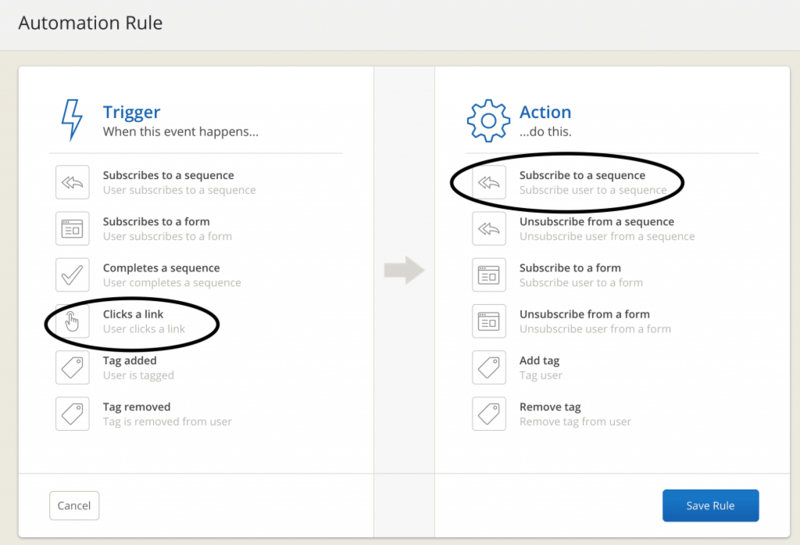 Under action, select “subscribe to a sequence” and choose the next sequence your customer will now go through based on their selection. Under the text editor in your sequence email, you can add a link trigger. Highlight the text that indicates which path your customer wants to take next and add the link trigger you just created. Now you’ve mastered ConvertKit automations! Next up, we’re going to walk through the difference between segments and tags in ConvertKit! Don’t Forget to Download Your Swipe File for Writing the Perfect Email Sequence! How To Make Money Blogging: $1,135 in My First Month Since Quitting My Job!